Yes To has an extensive line of moisturizers, make-up removers, facial cleansers, masks, and more that are all that are made with organic fruits and vegetables. What's even better, they are very reasonably priced for natural products! 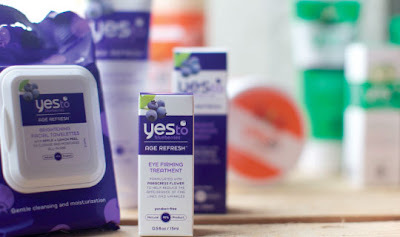 Right now, pay only $15 for $35 Worth of Natural Skin and Hair Products from Yes To. They have five collections to choose from: Yes To Carrots, Yes To Tomatoes, Yes To Cucumbers, Yes To Baby Carrots, and the new Yes To Blueberries. Shipping is not included with this deal, but if you up your order to $40, shipping is FREE!